If you’ve done a good job creating your characters, they will speak to you. Instead of hand-crafting their dialogue, it’s always better to just listen to what they want to say. But this can be a problem: sometime they refuse to push the plot in the direction you want it to go. Ignore their protests and make them do it anyway. 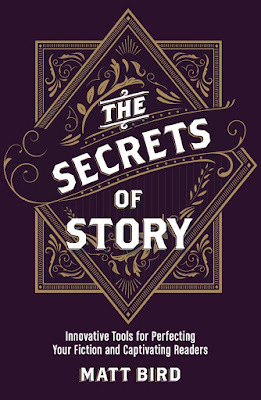 WARNING: They may never speak to you again, meaning you’ll have to put every word from then on into their mouth, so that they stop being a real character and become merely a plot device. Ask them what they want to do instead and let them do that. This requires saying good-bye to the rest of your perfectly worked out treatment and letting your character lead you blindly forward. WARNING: If left their own devices, most characters will play it safe and minimize conflict. Give that action to a different character who is willing to do it. WARNING: This might weaken the audience’s identification with the hero. Arrange plot contrivances that take away all of their other options until they choose to do what you want them to do. This is usually the best option. When all else fails, fundamentally re-conceive of the character. When I write thrillers, this is a constant problem. My characters always want to call the police and shut the whole movie down. This is especially tricky when I’m doing an adaptation for hire, where the producers and I have carefully constructed a very specific outline before I start writing. That means that when my heroes object, I can’t let them take the story in a new direction, so I have to go back and preemptively preclude all of the safe options until the characters are forced to step down the dangerous path that the producers have demanded. But never forget when this happens that this is a sign you’re doing it right. Don’t force your characters to create the drama by acting unreasonably. Trap your reasonable characters into dramatic situations, then let them fight their way out of it as logically as they can. Anytime they create the problem by doing something stupid, the audience will be enraged. 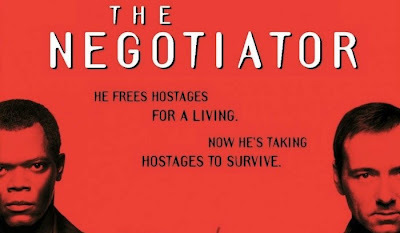 The Negotiator had a good cast and a potentially fun premise: a top hostage negotiator is framed for a crime by his fellow cops and winds up taking his own headquarters hostage until someone will listen to him. Seeing the trailer, I was suitably intrigued: how would a negotiator get backed into doing the one thing he knows not to do? 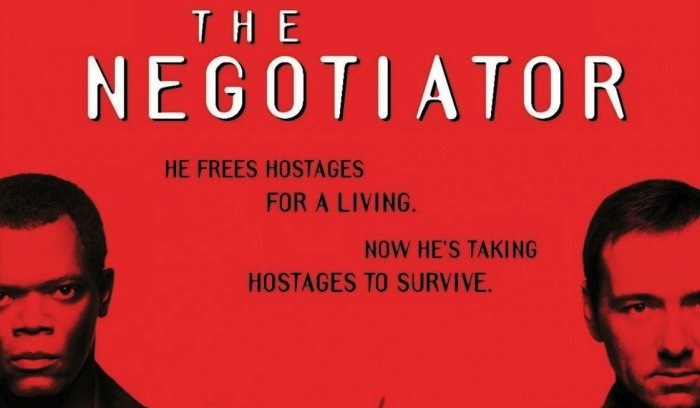 But the actual movie was ludicrous: they were in so much of a hurry to get to the premise that taking hostages wasn’t the negotiator’s last resort—it was his first!